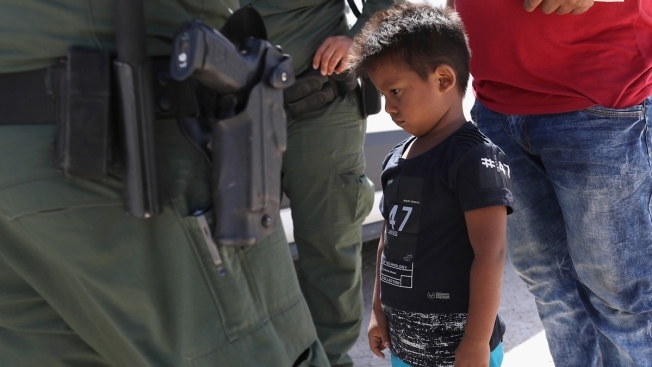 Migrant parents separated from their children at the border are sometimes unable to relocate their child and remain permanently separated, a former head of U.S. Immigration and Customs Enforcement told NBC News. "Permanent separation. It happens," said John Sandweg, who served as acting director of ICE under the Obama administration from 2013-2014. A parent can quickly move from detention to deportation, but a child's case for asylum or deportation may not be heard by a judge for several years because deporting a child is a lower priority for the courts, Sandweg said. Parents may then have trouble navigating U.S. immigration and judicial systems while back in their home countries and their children might be adopted by someone else after entering the foster system. Sandweg's comments undercut the White House's stance that the separation of women and child migrants under the Trump administration's "zero tolerance" policy is only temporary.